Ninth Massac husetts Battery, Light Artillery, Army of the Potomac, Inc. is a non-profit, living history organization portraying an actual Federal light Artillery unit during the American Civil War. Its objective is to educate the public regarding the Civil War and the life of a soldier in the volunteer Union Army. The battery also educates the public in Women during the Civil War period regarding dress and the life in which a woman experienced during that period. In April of 1961, the 9th Mass was officially reactivated. The Battery prides themselves in authenticity of dress and military behavior in camp and on the field. The Battery participates in various encampments in Massachusetts, Connecticut, Rhode Island, and Vermont. Once a year the battery participates in a major reenactment usually at Cedar Creek, VA; Gettysburg, PA or Sharpsburg, MD. The Battery is actively involved in Living History Encampments, Gun Shows, Parades, Reenactment of Civil War Battles, Educational Demonstrations, Historical Preservation, Memorial Services, and Historical Displays. The battery is a family oriented unit. 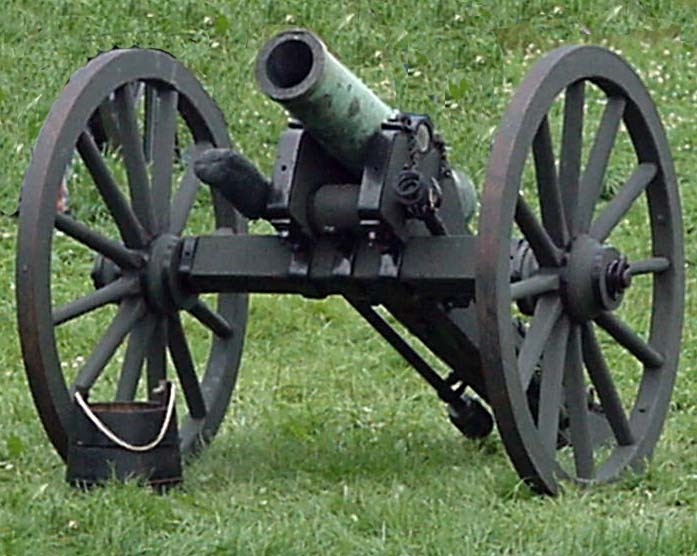 The battery also owns a 10lb parrott cannon and limber as well as a 12 lb original Mountain Howitzer.